Despite the general excitement and surprise about the amiibo-update, it unfortunately ended up being kind of a mix of emotions for me at first. 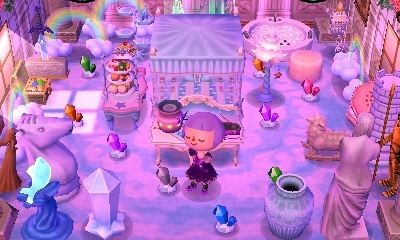 I wondered at first if I even wanted to update Citàlune, since it’s pretty much finished (other than patterns I have to make) with its dream villagers set in stone, so the main component of the update — new villagers and being able to invite via amiibo — wouldn’t be of any use to me in my first, main, mostly completed town. Having a big rustic ramp spawn in an unknown part of town in exchange for new trinkets to scatter in rooms I was already pretty satisfied with didn’t seem like the best trade-off. But upon learning that all the pre-update dream addresses had been wiped, and that all forms of WiFi & local connection (including visiting and making dream addresses) would be disabled if you didn’t download the amiibo-update, there was no question anymore; I wasn’t going to have Citàlune forever be a lonely island with no way to be visited, and no way to visit others’ towns (or even my own side towns, to help in their development). So my decision was made pretty easily for me, and I downloaded the update from the eShop the night it was released! At this point, though, when seeing the new title screen for the first time, I was feeling more nervous than excited. The updated game starts with a cutscene on the train in which Isabelle is pulling a Joan. Then she pulls a Rover: spots you, and takes a seat opposite you to chat. After a little “how funny to run into each other here” small-talk, she gets right to the point! This scene was cute, and it was fun to see Isabelle on the train, but it started to wear on me a bit with all my side towns and characters, hehe. And I think it might have been a more fitting and poignant scene if I hadn’t played in a while (~riding the train back to my town~), but I’d been playing pretty consistently in the lead-up to the update. With my stressing about the ramp, I’d forgotten all about this thing. >_> I’m not thrilled about the CAT machine’s addition to the town hall area, being a little modern-looking and throwing off the symmetry, but it didn’t end up being the worst new addition to my town. Yep, it is literally steps away from Lyra’s castle… a home that has existed since 2013, is central to my town’s sun/moon theme, is completely paid off, and that I have completed the HHA Theme Challenge with, and earned all the HHA awards with. And now there is no longer a nice neutral cliff-wall lining its elaborate rose garden; instead there is a gigantic dirt-and-bricks ramp designed for RVs to drive up (after bulldozing through the roses, I assume). It’s just such a clash of aesthetics, makes no sense with my layout, and throws a huge curve-ball to the map I reset for years ago. And I can’t turn it into a cozy rustic camp area to match the ramp without sacrificing the work I put into Lyra’s castle and a huge part of what makes my town, my town. As I drew up here before downloading the update, I was really hoping the ramp would spawn by the town tree, or anywhere on that side of the river, and I started to get hopeful when I saw that some other players had their ramp spawned by their town tree. The rustic look of the ramp wouldn’t have looked so out of place on this more earthy side of town, and while I was a little nervous about the specifics, I think that I could have grown to love the dynamic of having a ramp in the cliff here, making the area seem more open instead of closed off. And I think I could have actually worked it into the landscape possibly, with some moon tiles leading up to the ramp perhaps. So part of my disappointment wasn’t just about where my ramp spawned, but also about where it could have been if not for unlucky chance. I can take some comfort in the fact that you cannot see the ramp at all while you’re on the paths, but if you wander off the paths, you do start to see it… so I’ve planted a lot more trees to line the cliff in an effort to hide it more (which also hides the flowers more, another bummer). I figure I can either try to hide the ramp or make a path to it, and for now, I’m going for the hide it & ignore it option, since I’m working towards a dream update, and the ramp is blocked by a steel barrier in dreams — making it inaccessible and even more of an eyesore. But I won’t completely rule out trying a path in the future, which might end up looking like sun stepping stones lining the cliff (path patterns shown as black in that gridded map). It might end up looking silly but I won’t know unless I give it a try one day. I forgot to introduce myself to Harvey before heading for the goods. xD Heck, it felt like I already met him with that Animal Crossing Direct… I do really enjoy him as a new NPC; he’s perfect for the campground, has a lot of personality, and I love how you can walk in on him doing lots of different activities: feeding the birds, playing an instrument, reading, or drinking a cup o’joe. In general the new campsite is such a nice area to have in town, especially since I opted out of building the ‘public works’ that are up here in my main town, like the log bench, fire, and water pump. It’s lovely how many birds are around as well! 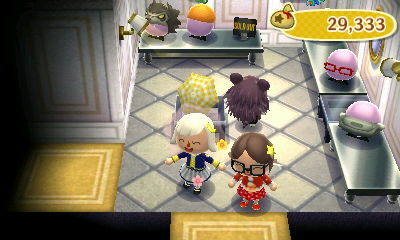 Zipper and Jingle were my first and second RV campers, respectively! They both seemed happy to be on vacation…must be nice having a job that just has one major work-day a year. At first I planned on taking pictures of all the RV interiors and making lists of what furniture was in what RV, but quickly abandoned that idea when it was clear others were compiling that much faster than me. A guide that you can expect from me in the coming weeks (or more like, an addition to a guide that already exists) is a compilation of pictures of all the new villager house exteriors. I brought the lamp inside to summon Wisp for the first time! It’s not quite as creepy as it sounds…rather than truly possessing, Wisp just makes himself look like the amiibo you’re summoning, it’s like taking a Polyjuice Potion in Harry Potter. 😛 Then he grants a wish relating to that amiibo, like summoning them to the campsite (not for series 1-400 amiibo cards though), giving a piece of furniture, or even moving them in (if it’s not a main NPC). It comes in handy to have multiple characters when collecting MEOW coupons. All Fern had to do to find Wisp’s lamp was walk outside her door! The initiatives have certainly helped get all my characters more active around town, like fishing and bug-catching again! Fern got some throwing beans from Harvey. Though I’d already gotten one from a trade earlier, it’s great that this item isn’t a regional exclusive anymore! It looks like New Leaf is heading in that direction slightly, with some of the regional food items now being available through RVs, and some of the sloppy furniture from Wendell’s, etc. I have to admit, I derive a wry, reluctant sort of amusement from the fact that I can now sit on the rock that has always bothered me so much. But I still don’t like you, rock. *whistles innocently* Are you trying to tell me something, Resetti? It’s kind of a bummer that Wisp can’t summon the default male character that’s become such a meme through Smash Bros. 😛 I guess it would’ve been a little awkward to create dialogue for what’s mostly a silent protagonist though. I love that galaxy floor so much, and it’s a shame, but I don’t really know if I see a good opportunity to use it in any of my rooms. Here are some other campers who have passed through Harvey’s site. 🙂 I’m sure it slipped my mind to take a picture of some! Posted on December 12, 2016 by Amy •	This entry was posted in AC:NL, Citalune and tagged Animal Crossing. Bookmark the permalink. I’ve been having fun with the update, too! There’s so many new items that I want to collect for my towns (been chasing after the Sanrio sets haha) but it’s very overwhelming) 0-0 Sorry to hear that the campground ended up in a not very good place, but I’m sure you’ll be able to make it look good somehow! I’m definitely upset that the update wiped out all pre-existing dream addresses, because it means that I have to clean up Tenshi again for showing (been on hiatus for it actually). But I look forward to seeing your summertime update for Citalune (especially Estel’s castle with all that lovely green :D). I’m glad to hear that, Tanachan, and it’s nice to talk with you again btw! x3 Yeah, I understand the overwhelming nature of it all! One day you’re fine with your rooms, the next day you got a lot of new items to collect and new features to adjust to and learn about! It is exciting, though, to have new things to chase after & look forward to ^^ Btw, if you still need any Sanrio stuff by the time my cards (hopefully) come in, I’d be happy to help you out. Yeah, that is the biggest bummer of the amiibo-update 😦 So many amazing DAs gone… I am more sad for others’ lost DAs than my own, I was kind of tired of my 2014 update being the representation of my town for so long. But there are a lot of great, now lost, dream towns out there that won’t get replaced. Wow that’s very observant of you to notice, Tanachan!! 🙂 I thought of that room too, when I was looking for ways to incorporate that lovely galaxy floor. But I tried it, and went back & forth between the flooring and the pattern I made, and ended up coming to the conclusion that I liked the look of the room better with the pattern I made: there’s more of a contrast of the items in the room with the bright blue , whereas they kind of blend in with the darker galaxy floor. Also, my starry blue pattern is designed to be a smooth transition merged with the bottom of the lunar horizon wallpaper, whereas the galaxy floor and the lunar horizon don’t ‘merge’ very well. So that’s why I didn’t end up finding a use for the galaxy floor, the throne room was probably my best shot 😦 Thank you for the suggestion, though, I was thinking along the same lines! 🙂 It’s possible we might be able to fit it into a museum room? I think the new campsite is hard to incorporate in town due to its rustic look (and strangely blocked gate.) Although it relatively fits with my town design, I would like to see Nintendo do something similar to the town hall and allow the player to customize the look of their campsite (Fairy-tale, Zen, etc.) I think you did an amazing job by planting the trees around it. Not only does it look good near Lyra’s house, it matches the forest-y theme of the Campsite, which I think creates a nice blend. Great work! Thank you, I’m glad you think so, that makes me feel better about it! ^_^ Good luck with integrating the ramp into your town as well, I hope it isn’t too much trouble. Actually, when I looked at the town map, I noticed we have the same river layout and our campsites had spawned in the same place. 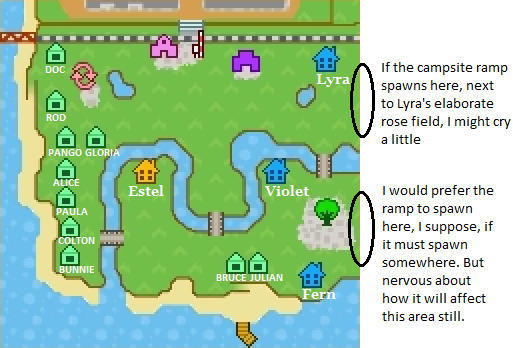 However, my Town Tree and Re-Tail are located next to each other where Lyra’s house is in Citàlune, so the road to the campsite is kind of blocked. 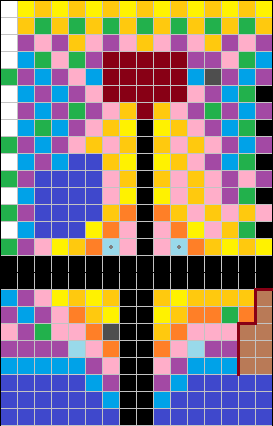 I’m slightly disappointed that I couldn’t integrate it, especially since Nintendo worked so hard on it, but I’m hoping to make it work. I completely agree about the cafe, though. One of the best things about the Animal Crossing series is that it can be however you want it to be. 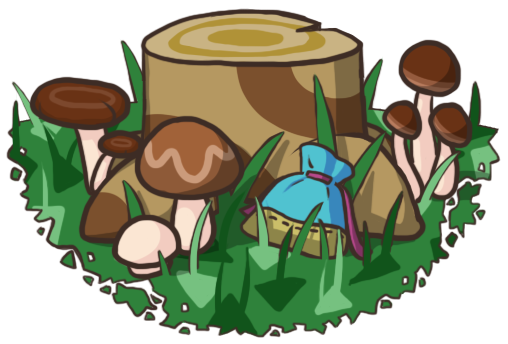 I’m super happy with the addition of PWP’s in New Leaf, and I hope they make each project more customizable in the next game. Besides that, I hope things are going well in Citàlune and I can’t wait to see the final product! I think for those of us who didn’t get super lucky with our ramp draw, we kinda have to decide how important having a well-integrated ramp is to us compared to having to alter/sacrifice our other town plans, because in some cases, it might not be worth it to make a path to the ramp or try to make the ramp look good, you know? Like if it’s going to throw something else in your town off. But if you do hope to work your ramp into your town more, I hope that you can get something figured out, best of luck! It might just take time, or trial and error, to think of something. I’m sorry you don’t like the placement of you campsite, I thought everyone got their campsite by their tree, but I guess it doesn’t make that much sense. Your town still looks beautiful and I really like the fact that you’ve sort of hid the ramp: now you have a beautiful fairy-tale landscape but if you adventure into the trees you find a humble ramp that leads to a beautiful campsite haha. I still have to get my hands on the WiiU to play Island Escape, which I’m soooo excited for. The update definitely made me start playing more often now. That makes sense you would think so, if it spawned by your tree 🙂 It is a nice central important spot in town that would make sense to have another important area branch off from. But not everyone’s town tree is by the cliff & whatnot. On top of everything else I don’t like about my ramp location (clashing aesthetics), mine just feels so…random. Aww, thank you Jemma, I appreciate it ❤ I look forward to see how Lilycott continues to grow & change with the update too! Did you have a Dream Address for it before? Thank you, Amy!! I never had a Dream Address before because there were just too many things I wasn’t completely satisfied with, and it’s kinda scary to think of people judging my town haha. I’m working on it, though! Oh ok, was just curious if you had a DA that was wiped before I could visit! Aww, Amy you’re too sweet, thank you so much! I’m still playing the game quite a lot, and hopefully I’ll get to posting a DA soon 😀 I’ll let you know if I do! I just visited Citalune and it looks absolutely fabulous! Although I thought it looked great in the 2014 update with all the Cherry Blossoms (that’s what they are, right? I barely play in the Spring for some reason) the green adds a nice pop of color. As for the Campsite, I couldn’t notice it at all from the paths and I had to venture pretty far off to see it. Overall, great job, and congrats on the nice work! Thank you so much! I look forward to seeing your dream address as well! I’m glad you liked it! 🙂 It’s not my own creation, but it wasn’t a town tune I got from another site that posts town tunes, like ACC, as I did for the Forest Life tune. I got some help from my mom to translate a piece of music to the AC town tune format, which was kinda confusing. It’s this motif-theme for Rivendell (at 0:21 & 2:27), from Howard Shore’s score that I love for the Lord of the Rings! It may be hard to catch the similarities between the melody played on orchestra and the transcribed, simplistic town tune though 😛 But it makes me happy to have part of such a gorgeous piece as my town tune, and I think it matches the fairytale-city atmosphere. Ahh that’s cool you felt the opposite this time 🙂 I do feel that since our planet has the only life that we know of in the universe so far, we should feel pretty significant despite the enormity of space: “We are a way for the universe to know itself” 🙂 But I understand feeling the other way you described too, learning about what’s in space feels just so out-of-this-world compared to our daily lives! Ooh, that’s such a nice inspiration for your town theme, and it does suit the feel of your town. And I’m not particularly well-versed in the world of Lord of the Rings, but I can never get over how beautiful Rivendell is. It’s the part of the movies that stood out to me most when I first saw them and sometimes just look up pictures of it to gawk at.